Mark always tries to meet visitors from the constituency to talk about the politics and history of Westminster, the work of an MP and about local issues. The best numbers are 20-60 on each visit; repeated tours from the same school are acceptable. Unfortunately, Mark cannot meet travel costs. Visits to London can sometimes take in nearby London sights such as the Supreme Court, Tate Britain, the National Gallery or the London Eye before heading home. There are often free educational exhibitions in Parliament too (details on www.parliament.uk). Mark carries out a programme of school visits throughout the constituency. The visits are a good opportunity for students and teachers to talk to their MP about issues, as well as for Mark to see the school at work. Please contact us to enquire about a visit to Westminster, or if you would like Mark to visit a local school. 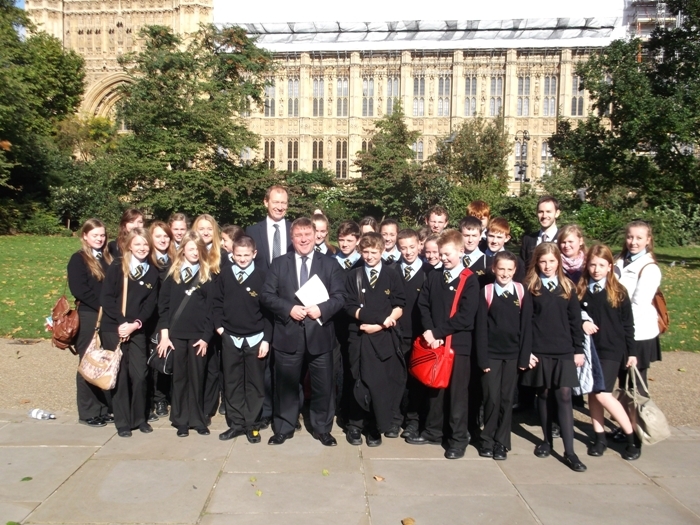 Mark pictured outside the Palace of Westminster with staff and pupils from Sweyne Park School following their quizzing of their MP during their visit to Parliament. Mark engaged in a ‘question time’ taking place with eager pupils of Greensward Academy during their visit to the House of Commons. 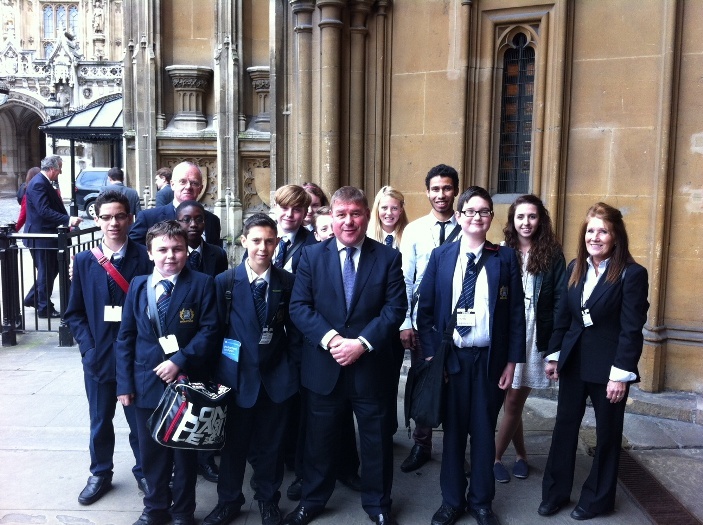 Mark pictured with staff and pupils from Bromfords School following their visit to Westminster. 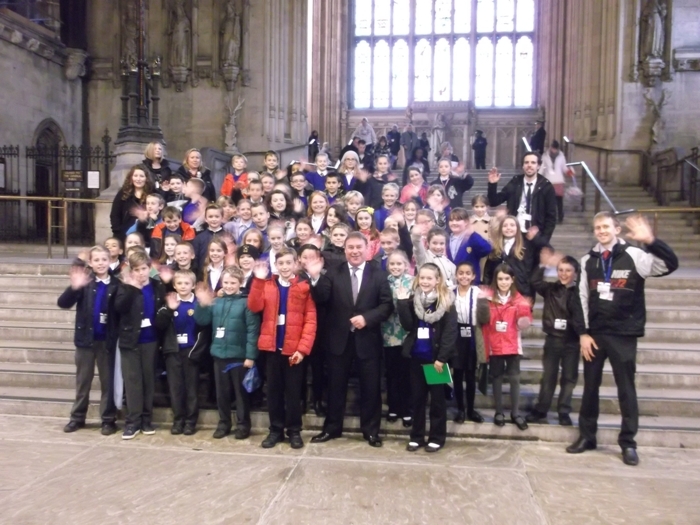 Mark pictured in Westminster Hall with a group of staff and pupils from Rayleigh Primary School following their tour of Westminster.